Learning to fly a quadcopter has just been made easier by the release of Wingsland’s new X1 racing drone. 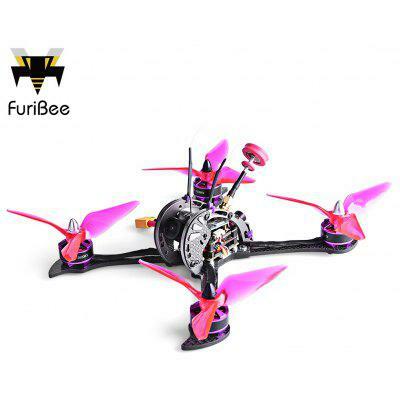 The name of this quadcopter is a little incorrect as this drone isn’t just for drone racing. It is actually the perfect drone for anyone to learn with as the camera pitch can be altered. What this means is you can tilt the camera forward for normal photography type flight mode which is recommended for beginners. When the flyer has mastered this way of flying then they can tilt the camera upwards to match the pitch of racing mode. When in racing mode the drone pitches right forward for optimal speed, it is much harder to learn flying in this mode. The X1 drone’s underbelly is also fitted with optical flow sensors which tell the processor how far the drone is from the ground. This is used mainly for auto take off and landing, not a feature usually found in racing drones but very handy for people learning to fly, As all the pilot has to do is click the auto landing or take off button on their mobile app. One of the hardest parts of flying is the landing. The flight time of this drone isn’t much compared to the larger models, but for a mini drone it is quite good. Also the batteries are cheap and easy to swap over. The included prop guards are an ideal attachment for beginners. The Wingsland X1 has propeller guards which can be taken on and off for different flying conditions. When learning to fly a drone it is recommended that the prop guards are kept on whilst learning to fly inside. This will protect the blades and stop potential injury to people. 360° flips are another feature included with the X1. This is not found on any proper racing drone and is more for fun. Overall if you are interested in getting into flying either camera drones or racing drones the Wingsland X1 is definitely one of the best options.